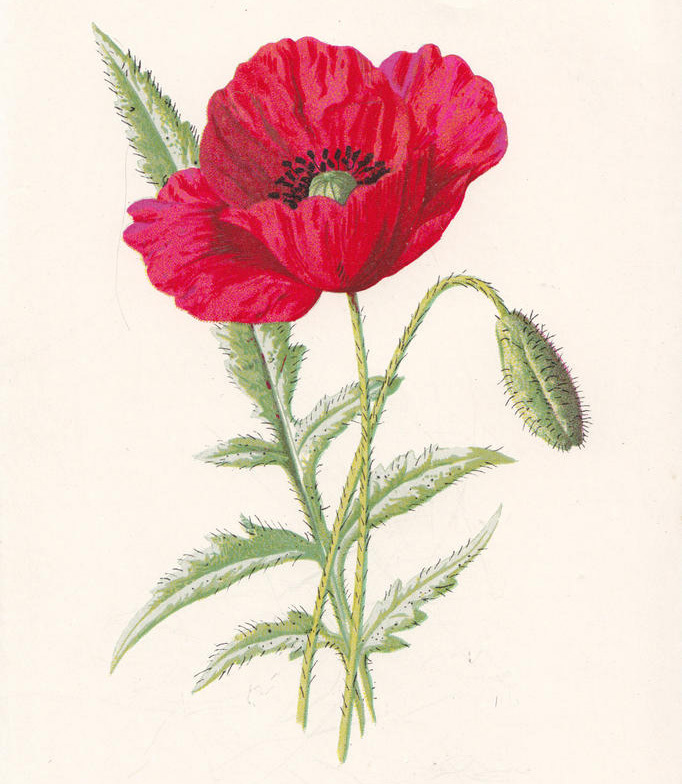 Common Scarlet Poppy or Red-Weed, 1895. Frederick Edward Hulme (1841–1909) was born in Hanley, Staffordshire, the son of an accomplished artist. He was a professor of drawing at King’s College London and a prolific writer on natural history, archeology, art instruction, flags of the world and other subjects. Familiar Wild Flowers was Hulme’s third publication and his most popular. Each volume contains 40 color plates and detailed descriptions with historical references for each flower. Eight of the nine volumes were published during his lifetime. This entry was posted in Announcements, Collections, Exhibits & Events, Exhibits & Events, Featured Resources, General Interest, Hay, Josiah Carberry, Special Collections, Spotlights, Uncategorized, Uncategorized by tbowers@brown.edu. Bookmark the permalink.